(Golden Halo Winner) TOMS is expanding. Again. Yesterday, founder Blake Mycoskie announced at South by Southwest that this time the buy-one-give-one pioneer will reach into the coffee market with a chain of coffee cafes, a roasting business and an online subscription coffee club. 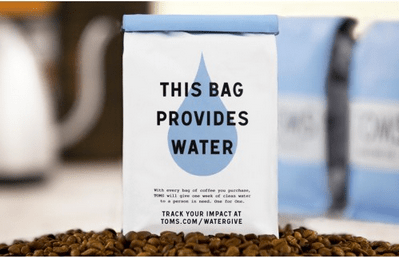 In partnership with nonprofit Water for People, for every bag of TOMS beans sold, a person in the countries where the coffee beans are sourced will get clean water for a week; for every cup sold in TOMS cafes, one person gets water for a day. The beans will only be available online, in TOMS cafes and at Whole Foods. TOMS is impressive not only for its pop culture appeal but for its ability to scale a cause-based business to levels far beyond any the cause marketing industry has seen previously. 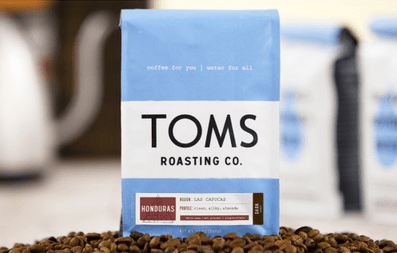 The announcement of TOMS entrance into the coffee marketplace and Mycoskie’s ambition (see video below) to enter a new BOGO business each year may catapult this business into an entirely different level of social impact and profitability. Pundits are quick to point out that Mycoskie’s growth plan may result in TOMS biting off more than it can chew. But the BOGO movement doesn’t seem to be losing steam anytime soon and TOMS appears to be laser-focused on creating sustainable social impact. What’s your take on these ambitious plan from TOMS? Prospects? Pitfalls? Weigh in below!